If you’re aiming for the younger looking skin even when you’re not in your 20’s anymore, you need to start early and create a skin care routine that helps you slow down the aging process. Getting the high dollar skin care products isn’t for everyone and not everyone is willing to use artificial ingredients on their skin. However, the market sure gives you plenty of options that don’t just check the affordability box, but also the naturally-based formulas that work for the skin. 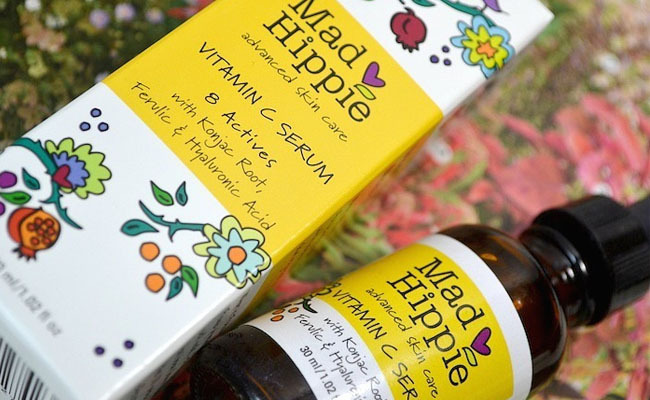 Why try Mad Hippie Vitamin C Serum? What do we like the most? Is there something we don’t go for? Should you try it or not? 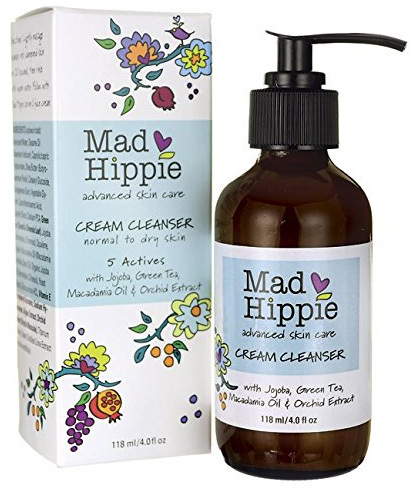 Developed on the principle that skin care products may work without containing fragrances, parabens, PEGs, SLS and other unpleasant additives, Mad Hippie is always creating skin care products that aren’t just effective, but also satisfy the environmentalist customer that wants better skin without damaging the Planet or the animals. 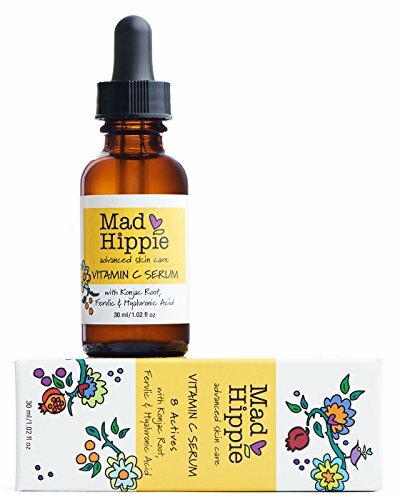 The Vitamin C serum from Mad Hippie is all natural, vegan, GMO free and has never been tested on animals and scores rating 1 by the Environmental Working Group’s Skin Deep. It’s a dependable choice for fading out discoloration and blemishes and helps your skin improve and maintain its youth and well-being. Using a stabilized form of vitamin C, the serum doesn’t oxidize, but may present a naturally yellowish hue which shouldn’t concern you. The award-winning serum stands out with an effective combination of antioxidants that even skin tone, smooths out skin texture and help your skin look better altogether. Vitamin C (sodium ascorbyl phosphate)- slows down the aging of skin and smooths out the fine lines and wrinkles. It evens the skin tone and brightens the dark spots of various causes. It heals the damaged skin and keeps sun’s bad UVs under control. It protects the skin from future damage and gives your skin a healthy glow. The risk for oxidation is minor and the serum doesn’t cause irritation either as it uses sodium ascorbyl phosphate. Vitamin E- calms the dry and irritated skin and is a protective antioxidant that makes wrinkles and discoloration less noticeable. Ferulic acid-is a natural antioxidant found in the cell walls of plants. It presents a compounding antioxidant protective power when combined with vitamin C and E.
Hyaluronic acid- plumps the skin and reduces the visibility of fine lines and wrinkles. It’s a naturally occurring substance found in the body and it’s able to hydrate and moisturize the skin for a long time. Konjac root powder-is an exotic Asian flower that softens and smooths the skin. It creates a thin barrier that protects the skin. It’s loaded with nutrients as copper, zinc, fatty acids, protein, lipids, potassium, magnesium, iron, folic acid, niacin, vitamin A, C, D, E and B.
Aloe barbadensis leaf- helps the skin heal in psoriasis and eczema. It has anti-aging abilities and puts acne under control. It diminishes the visibility of stretch marks and has moisturizing abilities as well. Clary sage- acts as a natural toner and astringent, eliminating the overly dry or overly-oily skin. Chamomile extract- creates a thin protective barrier for the skin. It sooths and comforts the skin. As mentioned before, the formula doesn’t include any parabens, synthetic fragrance, PEGs. SLS or other additives. Therefore, the serum is safe to use on all skin types and even on the sensitive areas around the eyes. Many use the serum both AM and PM. A little goes a long way and you should apply the serum on your dry and cleansed skin. The serum doesn’t have a strong smell and gives no burning sensation. It spreads easy and it’s easily absorbed into the skin, leaving no trace or oily feel afterwards. Your skin feels great and has a soft touch feel once the serum is absorbed. For better performance of the serum, it’s a great idea to follow it with a good moisturizer. Mad Hippie Face Cream is therefore the rescue. If you’re dedicated to the health of your skin but also to the health of your planet, the serum is a great choice to try whenever in need. Especially since it comes for a great price too. Other Vitamin C serums we have reviewed: the Mario Badescu Vitamin C Serum Review, the Vitamin C Serum by LilyAna Naturals, the Skinceuticals C E Ferulic Serum, the Professional C-Serum by Obagi System, the C Serum 22 by Serumtologie.